A tough place for a girl to grow up. The effects of inner-city social turmoil that took place in the 1960’s and 70’s throughout the nation hit the Lower East Side community in Manhattan very hard. The neighborhood experienced unprecedented real estate abandonment and disinvestment as riots flared, buildings burned and drugs were rampant. Today, the Lower East Side remains one of the most ethnically and economically diverse neighborhoods in New York, with a substantial foreign-born and working-poor population. Poverty rates in the Lower East Side remain amongst the highest in the city, in spite of a recent influx of affluent residents. In fact, the Lower East Side has the third highest number of young people living in poverty in Manhattan, approximately 39.6%. Moreover, 47.3% of Lower East Side residents are on some form of income support, and around 30% live in households with incomes below $19,000. The census tracts along the East River indicate that, in 2010, over half of families with children had incomes below the poverty line. In 1996 a diverse group of women consisting of workers, artists, educators and businesswomen organized to address the lack of social services for girls and young women in the Lower East Side of Manhattan. The Lower Eastside Girls Club was founded. LESGC’s state-of-the-art center offers programs in the arts, sciences, leadership, entrepreneurship and wellness for middle and high school girls. Programs are offered at no cost. LESGC’s mission is to break the cycle of local poverty by training the next generation of ethical, entrepreneurial and environmental leaders. OCD | The Original Champions of Design is an independent branding and design agency. 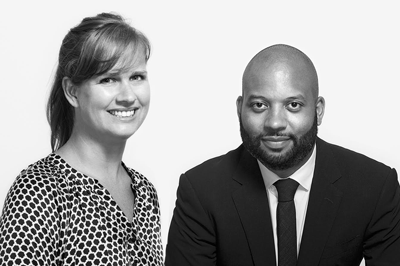 Founded by Bobby C. Martin Jr. and Jennifer Kinon, OCD has developed brand identity systems for a wide range of clients, including MTV and The New York Times. Bobby C. Martin Jr. sits on the board of the Type Directors Club, and in 2017 was named one of the Most Creative People in Business by Fast Company magazine. Jennifer Kinon has lectured around the world on the role of brand identity systems, and in 2016 served as Design Director of Hillary for America.